If you are searching for “Palm Tree Trimming Scottsdale“, Arbor Care Tree Care can help! Our palm tree trimming company in Scottsdale, Arizona can help you professional trim your palm trees. Schedule your palm tree trimming in Scottsdale by giving us a call today at (480) 797-5566. Arbor Care Tree Care offers affordable palm tree trimming in Scottsdale, Arizona for homes and businesses. It’s totally natural for palm tree leaves to start turning brown, falling off and looking bad. 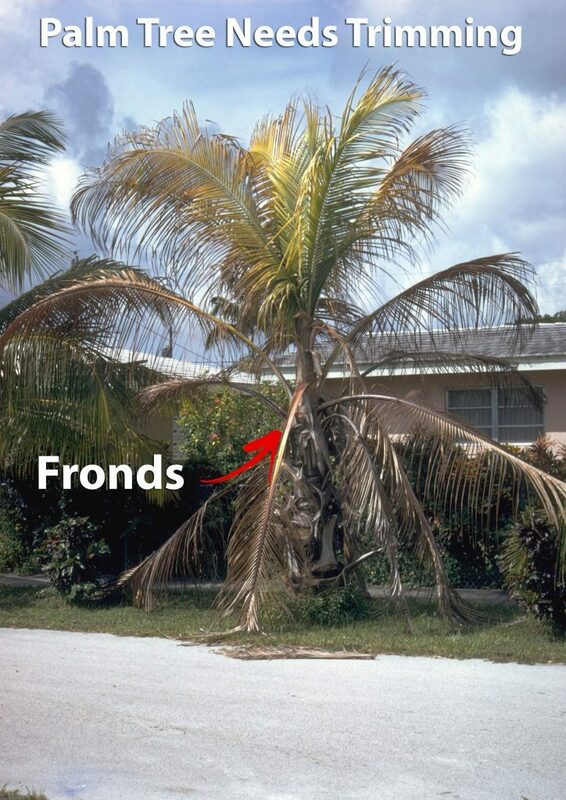 The fronds (leaves) on a palm tree will begin to turn brown, sometimes orange or yellow when they are dying, and these can give off an awful appearance, not just for the palm tree itself, but for other things around it. If you feel that your palm tree(s) has something wrong with it or if you think your palm tree is on the verge of dying on the account of it fronds changing in color, not to worry, as it is perfectly natural for this to occur in order for the palm tree to continue with it natural growth process. However, it’s understandable that no one wants to have to look at the fronds during their dying process. That is the reason that Arbor Care provides professionals to perform trimming services for your palm trees, we can remove those fronds from your palm trees that occurs during these stages of its growth. By removing the dying fronds, it helps the new growths keep all the nutrients, whereas, the old growths would otherwise be taking from the new fronts ability to grow properly. It shows below what some of our palm tree services are. Here at Arbor Care, we use a 4 step palm tree trimming process for the trimming of your palm tree. This is to ensure that our workers are safe at all times, as well as to ensure that our customers receive the highest level of satisfaction from the end results. In order to know a head of time if there are any safety dangers involved, we will first be assessing the palm trees to be trimmed or removed. We will give you a free palm tree trimming quote for your approval. If the quote has been agreed upon, our professionals begin with the process of trimming or removing your palm tree(s). At the completion of the trimming or removal of your palm tree(s) we make sure that all debris and waste is removed from your property. Scottsdale, Arizona has a hot climate, which is why you are able to see palm trees wherever you go, they will be on the side of the roads, freeways, and in public parks, you can even see them in the shopping malls. Palm trees grow rapidly, to the point that they get out of control, so keeping them trimmed is how to go about controlling them and making them have a beautiful appearance. Arbor Care provides palm tree trimming that helps your palm trees stay beautiful looking all year around. At the same time, we see to it that your palm trees do not suffer infestations from insects or from lack of fertilization, we also keep them safe from the diseases which they get. Checkout the palm tree trimming services we provide. There are several palm trees that will shed their fronds and these trees will not ever need trimming. These include fox-tail, veithchia, and royal palm trees, however, these types of palm trees also need nutrients, as well as needing to be fertilized in order to have a healthy growth pattern. Schedule your palm tree trimming in Scottsdale by giving us a call today at (480) 797-5566. We also offer palm tree trimming in Tempe, Phoenix & Mesa. If you are searching for “Palm Tree Trimming Scottsdale“, Arbor Care Tree Care can help!